Hi my lovelies! 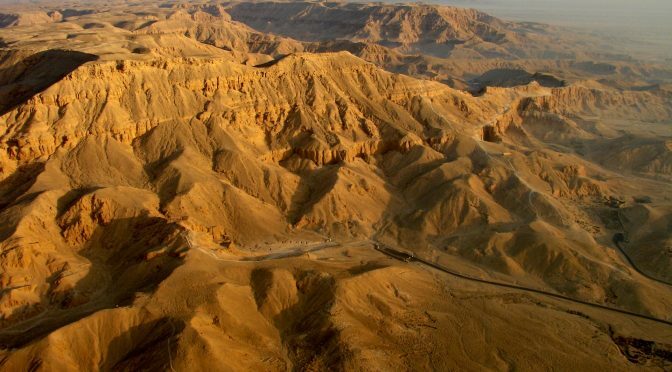 I decided to start a series of posts about the Valley of the Queens… or at least about some of the tombs found in it, namely those of king Ramesses III’s sons. Despite belonging to princes, these five tombs are all located on the south-western side of the main wadi (or dried riverbed) of this valley. The first one of these tombs, described in this post, is numbered QV 42 and belongs to prince Paraherwenemef (meaning ‘Ra is with his left arm’), fifth son of Ramses III. He bore the titles of King’s son, the first of His Majesty, Conductor of the stables of Ramses–heqa–iun, and Great listener of the king. His half-brother Khaemwaset also had the title of firstborn son of the king: they were the firstborns of different wives of Ramesses III. Interestingly, the prince bore the same name as one of the sons of Ramses II. Actually, Ramses III tried to emulate his famous predecessor in many ways, such as in the names and titles used, and also in the names given to his sons. Paraherwenemef is also represented in the mortuary temple of Ramesses III at Medinet Habu as a child. He died quite young, when he was 24, during the twentieth year of his father’s reign. In his tomb, though, he is represented as an adult. He was possibly married, as the sarcophagus of a princess was found in his tomb (see below). The tomb is of the so-called type III, with a plan resembling an underground apartment, of very narrow and long shape and including stairs, or a slope, an antechamber and a burial chamber. The latter can have up to three annexes. 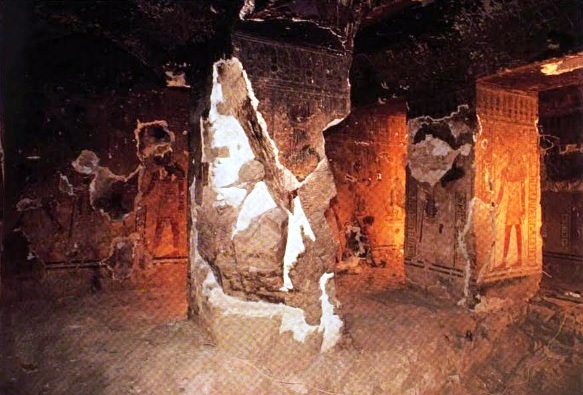 The tomb of Paraherwenemef has a long corridor that leads to the burial chamber. The latter has four pillars, one annex on its western side, and a niche on its southern side. 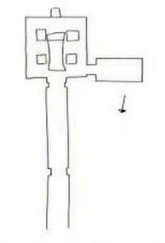 The orientation of the tomb is north-south. Interesting is that there are traces of burning. Finally, excavators also discovered an anthropoid feminine sarcophagus of pink granite, identified as belonging to a princess, and which is now in the museum of Turin (MT inv. n. suppl. 5435). The main wall decorations on the left side of the corridor include some scenes with the deceased and Ramesses III making offerings to gods, including bread to Ptah, wine to Mert-seger, and incense to Osiris. At the end of the corridor, at the entrance to the funerary chamber, we find a depiction of Ramesses III. On the right wall of the corridor, the deceased and Ramesses III are with gods such as Geb, Thot and Amon. Finally, on the lintel of the entry to the funerary chamber we find the sun disk, and on the inner walls of the same entry is inscribed a hymn. These are scenes that are commonly found in tombs like this. In the funerary chamber, on the left side of the wall of the entrance from the corridor are shown Osiris, a queen, a baboon on a shrine, and Anubis. 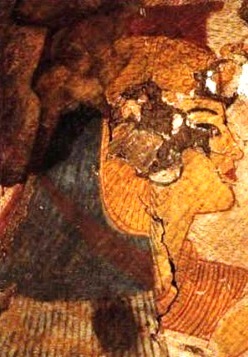 The queen wears the usekh necklace (a necklace made of several lines of beads), and the tripartite wig with a vulture-shaped headdress and the uraeus, and carries a scepter. 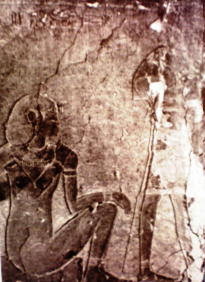 On the right of the same wall are depicted Neb-neru and Hery-maat. The first is lion-headed and walking with the left arm outstretched towards the shoulder of the second, with open hand and the fingers united, while his right arm is stretched along the body and brings a knife. He wears a striped skirt, a bodice with straps, the usekh necklace, a belt with a fake tail, bracelets and anklets. He is connected to female deities and with Horus Harsiesi, or Horus as son of Isis and legit heir to Osiris. Hery-maat is represented as a sitting naked boy and wears the afnet (a headdress similar to the nemes) with the uraeus, the usekh necklace, bracelets and anklets. He bends one of his arms to set the hand on the opposite shoulder, while the other hand is on the knee. He is shown seated on a white curved stool on a green mat. His iconography reminds of the one of Horus Harpocrates, or Horus as a child. On the eastern wall of the same room, the deceased is shown with the king before Anubis, then in front of a shrine, and then offering with the king the image of Maat to the group of the Hememet genii followed by a deity on a pylon. These Hememet genii include a vulture, a kneeling hippopotamus-headed character holding knives, and a kneeling anthropomorphic deity with knives. Both of the latter wear anklets. As it can be seen in the chapel of Osiris and in the chapel Ptah–Sokar at Abydos, the Hememet genii are connected with the rebirth of the dead and with female deities such as Isis, Hathor, Nut and Tueris. On the southern wall, Ramses III and the deceased are shown with Nekhbet, equipped with a scepter, and Selkis before Osiris. On the western wall, the deceased is depicted with Ramesses III before Osiris and, then, before Horus Harsiesi. 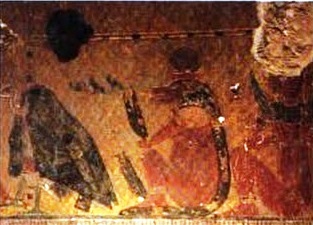 Another scene on the same wall includes a standing lion-headed demon with a sitting jackal-headed demon carrying knives. On the north-eastern pillar of the room, Ramesses III is depicted before the group of the Jwf genii, which include a standing monkey holding a bow and two kneeling baboons, and before Ra-Harakhty. These genii are connected to funerary rites. On the north-western pillar are inscriptions and Ramesses III on the south face. On the south-western pillar, on Ramesses III is represented with incense before Shu and then before Ra-Harakhty. Finally, on the south-eastern pillar, on its northern and western faces, Ramesses III is shown offering wine to Thot and then incense to Atum. On the lintel of the entry to the western annex is shown a winged sun disk, while on the inner walls of the same entry are portrayed Horus, on the left wall, and Anubis, on the right wall. Both the gods are kneeling on a standard. The decorations in this tomb are similar to the ones found in the tombs of the other sons of Ramesses III. It is interesting to see how in all of them the main character seems to be the king and not the princes, almost like they could achieve their eternal life only through the intervention of the king. This could be because of the religious meaning associated to the king and how he could assure the maat and hence the repetition of the solar cycle. Could this have also political meaning? Ramses III had a long reign (more than thirty years) and the designated heirs to the throne all died before their father, making the succession troublesome. Furthermore, under his reign there were problems leading even to strikes. Can the fact that Ramesses III is represented with his sons aim at symbolizing that the power of the king and of his family was still strong, especially towards other members of the royal court that could be tempted to seize power? Let’s not forget that, after all, he was probably the victim of conjure (the so-called harem conjure, organized by royal women and people working in the harem). Also the representation of groups of genii such as Neb-neru and Hery-maat, the Jwf genii, and the Hememet genii are often found together in the tombs of the sons of Ramesses III, and also in other tombs. In particular, the last two groups of genii are always found in the same tombs in the Valley of the Queens. Note: the pictures are taken from the internet that are themselves from Leblanc, Ch. and A. Siliotti, 2002. 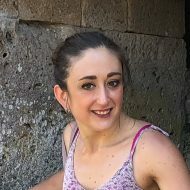 Nefertari e la valle delle regine, Firenze: Giunti Editore. The header image has been taken from Wikipedia.